Fire Luigi with Monty Mole holding a Bob-omb. Monty Tank is a tank manned by a Monty Mole that fires Bullet Bills and appears as the World 6 boss of New Super Mario Bros. It can be destroyed by Mario or Luigi jumping on the Monty Mole's head three times, when its head is exposed. The Monty's head is exposed when he comes out of the Monty Tank to throw Bob-ombs at the player. These bombs can be thrown at the mole while his head is exposed to cause damage. Each time the Monty Tank is hit, it will quickly move back and forth along the ground. While doing so, it will also rapidly fire Bullet Bills from its multiple levels, depending on how many times it had been damaged. Each time it is hit, one more level is added to the tank, making it taller. 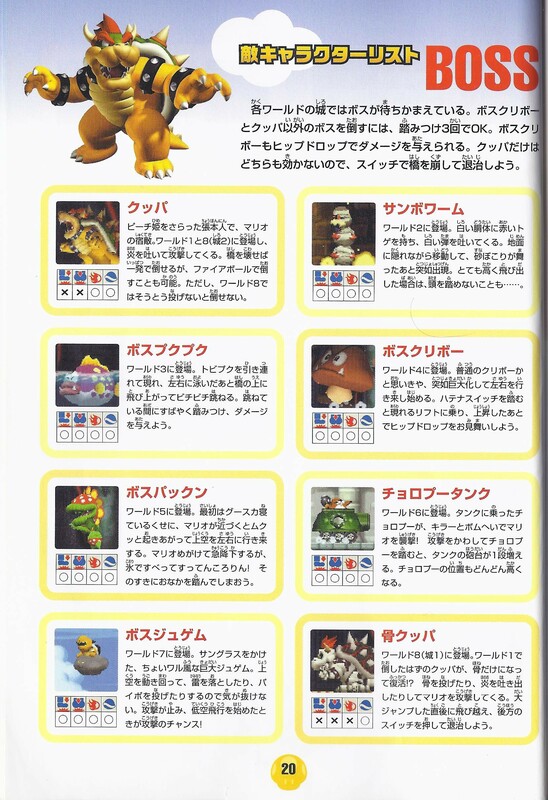 As such, if Mario uses a Ground Pound on the first hit, two levels will be added. The tank is invincible when Monty's head is not exposed. Mario and Luigi can also defeat it by just jumping onto the Monty Tank using the Mega Mushroom. 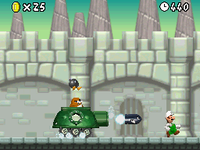 Monty Tank is similar to the Monty Mole enemies in Super Mario Sunshine, who similarly made use of Bullet Bill-shooting weapons and threw Bob-ombs.